Sonya is a Partner in the firm’s Litigation & Dispute Resolution group and has more than 15 years’ experience in a broad range of litigation. She has acted in matters in all courts and tribunals in New South Wales as well as the Supreme Courts of Victoria, Queensland and the Northern Territory. Sonya acts for clients in the financial services, education and insurance sectors as well as manufacturers, distributors, mining companies, telcos, property developers and not-for-profit organisations. 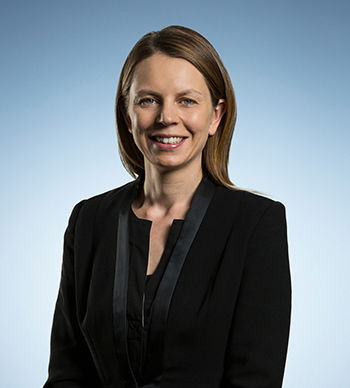 Her experience includes dealing with both litigated and unlitigated complex commercial disputes and advising ASX-listed corporations. She also has a particular interest in matters of workplace fraud and corruption in business, and has managed confidential workplace investigations involving allegations of misconduct by senior executives, and represented clients at the NSW Independent Commission Against Corruption. Sonya is a formally trained mediator, which gives her the ability to see all the angles and potential means of resolving a dispute. Sonya was recently acknowledged by The Legal 500 Asia-Pacific (2018) for her work in the Dispute Resolution space. Three sets of related Supreme Court of New South Wales proceedings involving allegations of fraud, a winding up application and a further claim against the company’s accountants for misleading and deceptive conduct. Seeking injunctions in relation to breach of a restraint of trade clause by a former executive of a large shipping company. Advising a large FMCG company on an urgent whistleblower issue where sensitive information was released to the media. Obtaining freezing orders against a former employee accused of misappropriating millions of dollars of company funds. Advising a number of independent schools on a broad range of issues including bullying, discrimination, enrolment issues, negligence claims and disputes between parents.